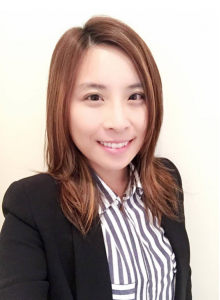 Yi-Rung Lin joined the Atwater group in April 2016 as a visiting postdoctoral fellow. Prior to joining the Atwater group, Yi-Rung received her Ph.D. in Chemistry from National Taiwan University (NTU) and IAMS, Academia Sinica under the group of Dr. Li-Chyong Chen and Dr. Kuei-Hsien Chen. The focus of her Ph.D. research was on the development of earth-abundant Cu2ZnSnSSe4 (CZTS) solar cells including defect analysis and optimization of device fabrication process. At Caltech, her research mainly focuses on utilizing 2D heterostructure semiconductors for the conversion of CO2 to solar fuels by means of using those materials as photocatalyst. This project is in collaboration with the Joint Center for Artificial Photosynthesis (JCAP).